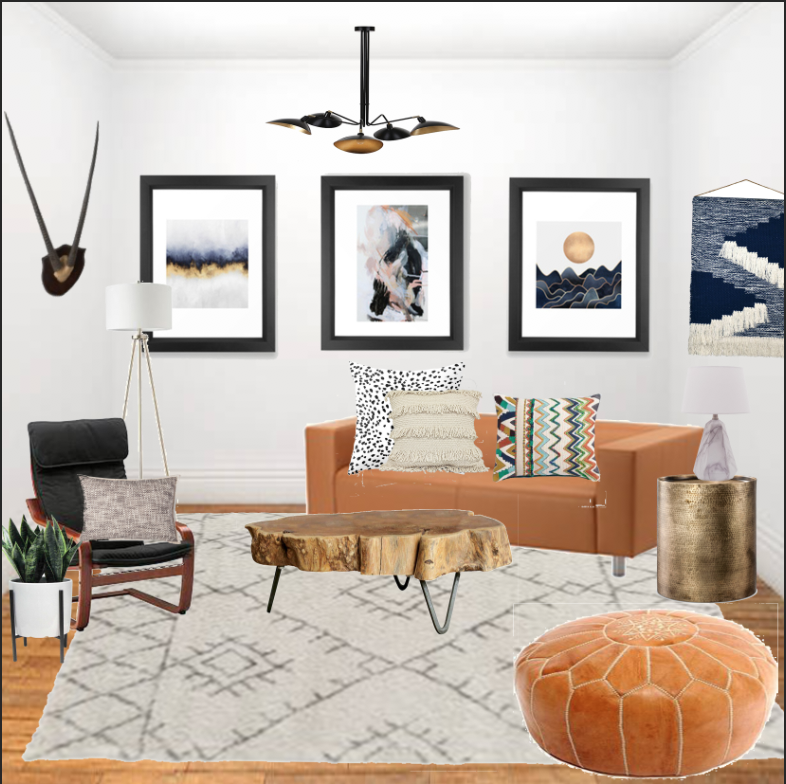 Modern decor is always so fun to play with, and I love the contrast of pairing it with rustic elements. Whether you are swimming in dough or pinching pennies, we sourced the ideal living room decor for modern rustic mavens. 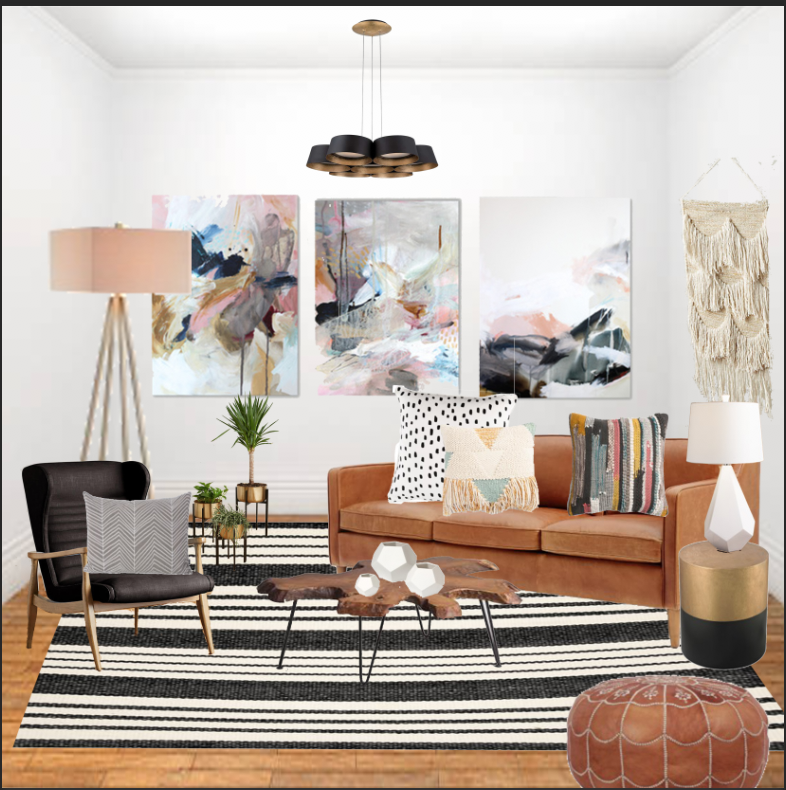 To achieve these looks we focused on mixing woods with black and whites, rustic elements to add warmth and depth, and an overall neutral pallet with subtle accents. Can you tell which is the expensive and which is the budget friendly? It’s always fun to design a space with no budgetary constraints. This one isn’t necessarily realistic for the real world (I wish) but is a good source of inspiration and most of these are investment pieces so they aren’t BAD purchases per say….some people can afford couches that cost more than most people’s cars (maybe in my next life). Yes, you read that right. 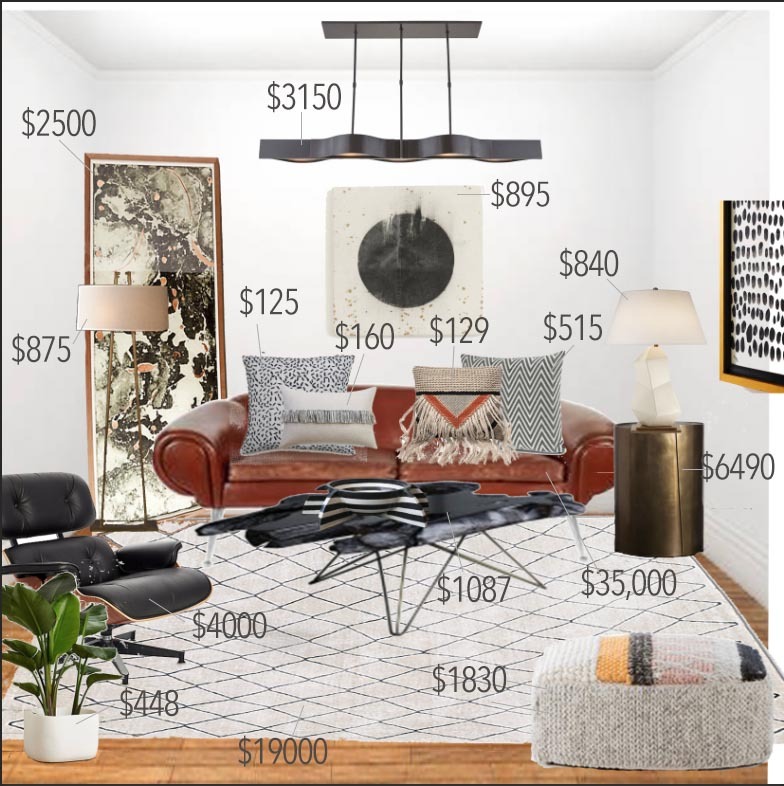 The couch I chose costs $35,000 and the rug $19,000. I guess go big or go home, right? If you are a high roller, here are the links to purchase below. These are the kinds of pieces that I personally gravitate towards, well made but not so expensive I’d be forced to live off spaghetti o’s. For items that I think of as investments, I would have no problem paying for quality, although some of these items may be a bit trendy, which is when I tend to shop for bargains. If it isn’t going to be in style in 5 years why spend money on it? These are our most price conscious options, and while I can’t vouch for the comfort of the couch or chair, the quality of the other pieces is surprising great!